Home » News » Walcott and Bale done it again and keep Champions League hopes alive for Arsenal and Tottenham! Arsenal beat QPR with 1:0 on Saturday afternoon while Bale saved Tottenham ones again against Southampton. Important victories for Arsenal and Spurs to keep there Champions League hopes alive. Arsenal secured a crucial away win against city rival QPR. The Gunners scored early, it was Theo Walcott who scored after just 20 seconds. It was the strikers 20th season goal and the fastest goal in the Premier League. Arsenal always looked dangerous especially in the opening minutes. Walcott almost scored a second one when Green turned his low shot on to the post. Arsenal is now third with 2 points ahead of Chelsea FC. However, Chelsea still has 2 games in hand. The Gunners will face Wigan Athletic and Newcastle United in the final last Premier League games. 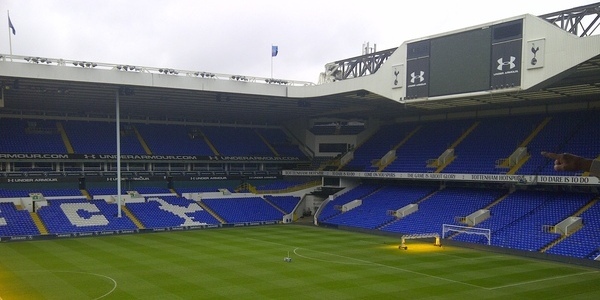 The Spurs hosted Southampton and faced a tough game against Bale’s former team. The kic-koff was delayed for 30 minutes because of a chemical spill on the M25. Southampton was a well prepared and didn’t give Tottenham any space. The Spurs got lucky after great chances by Clyne and Lambert. However, it was Bale who saved his team ones again with a stunning 25 yard strike. The Player of the Year received a Walker pass on the right, cut inside against Luke Shaw and hammered the ball past Southampton goalkeeper Artur Boruc. An unbelievable strike. What a season for Bale!? Now, Tottenham face a difficult week with Chelsea on May 8th, Stoke on May 12th and Sunderland on May 19th. Get your tickets now for the final Premier League matches and witness the battle for the Champions League between Arsenal, Tottenham and Chelsea.